"Too often, I’m the first one to jump on my word processor and fire off letters of complaint whenever I experience a lack of customer service or when something doesn’t go “my way”. I rarely take the time, however, to sit down and write a letter when I receive exceptional customer service. Well, this is one of those times. Brent what else can we say you rock we will recommend you to all!" "We appreciate our partnership with CSI etc. We feel that they are an extension of our team with the same commitment to quality, professionalism and the utmost in customer service. 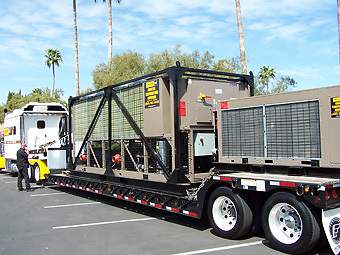 Everything they do makes our business run smoother and more profitable. We are happy to be working with a great group of people." "Conference Services International has been a great partner. They not only deliver as promised, they also provide the quality of service that we expect from our own employees." "CSI etc. is a wonderful company to work with, I use them all the time. They were awesome on our latest Boeing Conference." "CSI etc. consistently goes out of their way to ensure the Expositions held on our property are successful. Having your organization handle all of the shipping, receiving, and storage has enabled us to save in our labor costs and has provided better service to our clients. The ability to have CSI etc. supplement our onsite storage has proven to be an invaluable asset as well. I would like to highlight your professionalism, excellent communication, and friendly manner. My staff now considers your services to be an extension of their own." CSI etc. 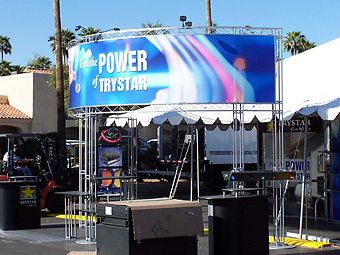 provides Trade Show and Exposition Production From Pipe & Drape, Logistics, and Material Handling to Exhibits, and Exhibitor Services, we are a full General Service Contractor. © CSI etc. 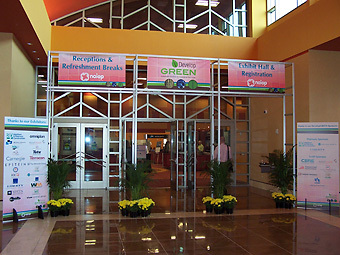 Expositions Trade Shows Conferences. All Rights Reserved.